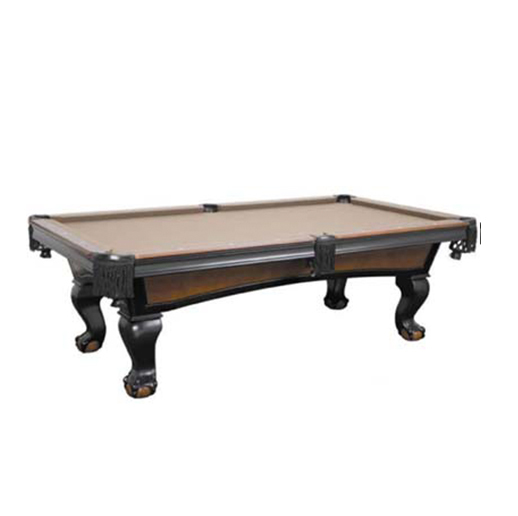 The Venice’s rich two tone black and antique walnut finish sets this table apart. 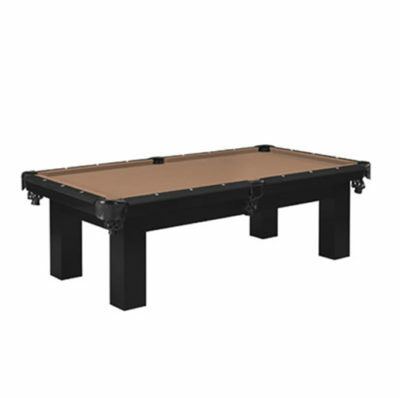 The two tone finish on the body and ball and claw feet will make this table a conversation piece and provides lasting beauty. 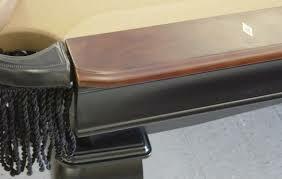 Built with solid wood legs, rails and body for strength and stability. 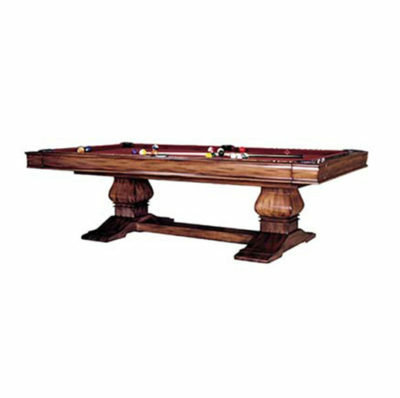 The fringed leather drop pockets, arched cabinet design and double diamond, pearlized inlayed sited add richness to the table. 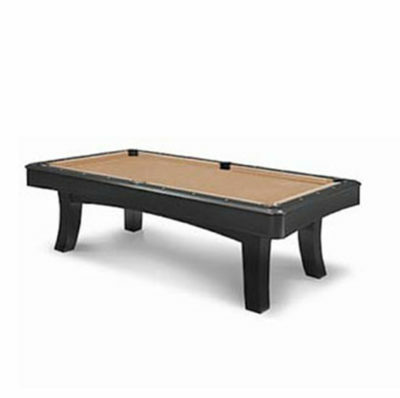 Performance features include our Uni-Body design that eases the assembly and, when needed, the disassembly of the table; the double crossbeam construction that adds support to the slate; and the K66 cushion rubber assures a true rebound. 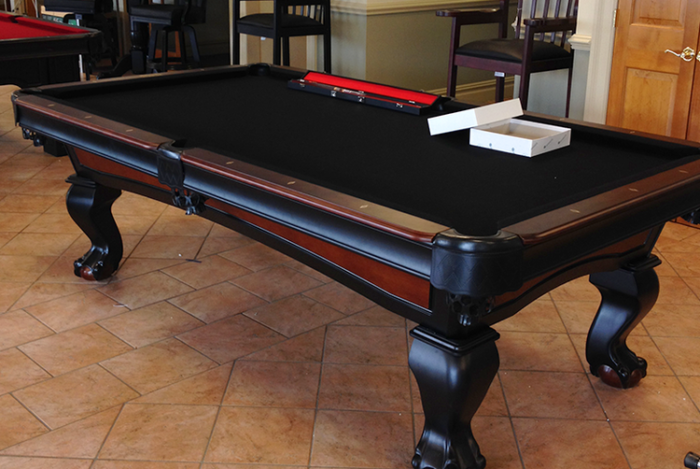 Beauty and performance combines to make The Venice the best billiard table available in its price range.